Curious about plant-based eating? 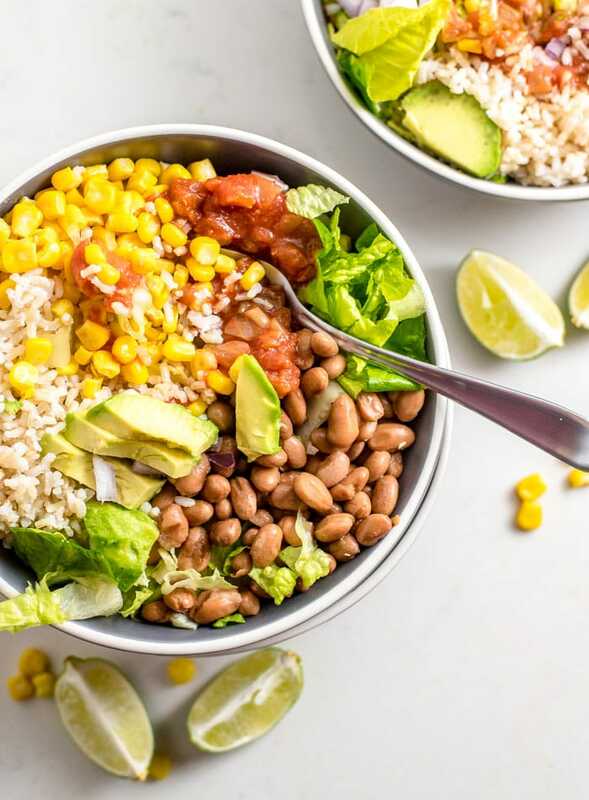 This one-week vegan meal plan has everything you need to try eating a plant-based diet for 7 days. This plan is best suited for two people but can easily be modified to suit just one or can be doubled to work for a family. Below you’ll find a 7-day meal plan that covers plant-based breakfast, lunch, dinner and snacks. Most days, lunch is going to be leftovers of the previous night’s dinner. This makes things easy, saves time and is great if you need to take lunch to work. Simply pack up the leftovers when you make dinner and you’re all set. If you follow the meal prep list below, you should be able to have dinner ready each day in less than 45 minutes. This meal plan works well for two people but can be adjusted to suit one or more. This meal plan is approximately 2000 calories per day and works well for active individuals. If you need more calories, add one of the recommended extra snacks or increase portion sizes. If you need fewer calories, omit the snacks or reduce portion sizes. 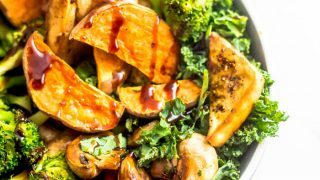 This meal plan is whole food-based and uses minimal processed vegan alternatives to animal-based foods. 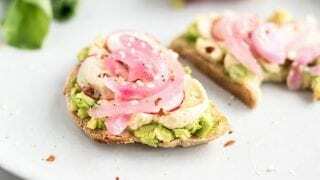 There is nothing wrong with enjoying these foods on occasion and they can certainly be helpful when you’re just starting out with a plant-based diet, but for this meal plan, for the most part, we’ll be focusing on simple, whole foods, prepared at home. 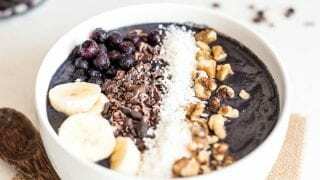 You will find vegan sausage as part of a breakfast skillet recipe and I also use vegan protein powder in my smoothie recipes but other than that we’ll be sticking to whole foods. If you don’t like cooking from recipes, check out my no-recipe required meal ideas for alternative lunch and dinner ideas. You can also review my vegan meal prep posts for ideas. You’ll find a ton of alternative breakfast, lunch, dinner, snack and dessert ideas listed below the one week meal plan. Although I’ve provided a full one-week meal plan, I personally only plan from Sunday night to Thursday night. Friday night I usually eat whatever is leftover and on Saturday nights we go out for dinner. Plus on the weekend I have more time to prepare meals so I’m more flexible. I also try to cook with whatever groceries I have leftover so usually leave those days free. During the week it’s good to use recipes and have a solid plan for what you’ll be preparing but the weekends might include things like homemade pizza, soup and sandwiches, pancakes, sushi, brunch and other fun meals. 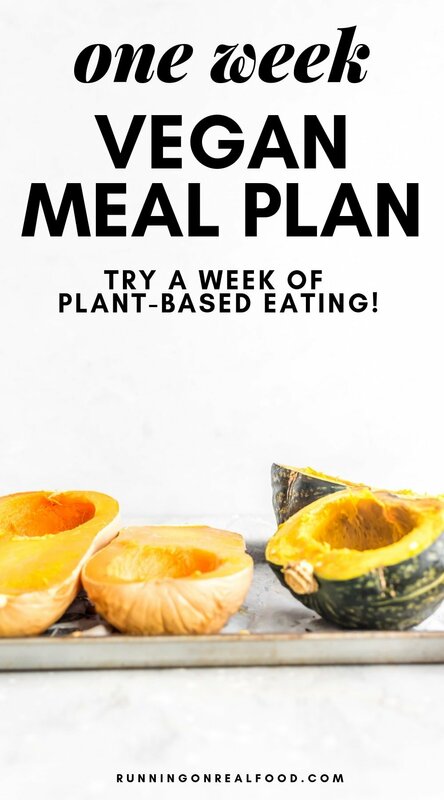 There’s no need to be rigid with your meal plan, especially once you get the hang of creating plant-based meals without the need for recipes. I’ve still provided a full 7-day meal plan through but I’ve also included suggestions to change it up based on your preferences. Vitamix. My Vitamix is the most used tool in my kitchen. Between my husband and I, it gets used at least three or four times a day. I use it to make smoothies, flours, batter, coffee drinks, matcha, soups, nut butter, banana ice cream and more. Use my affiliate link to get $160 off at check out on the Next Gen Reconditioned Blender!! Such a great deal. If you’ve been thinking about getting one, it’s so worth it. It’s such as great investment, it will last for years and years and you will love it! Food processor. A food processor isn’t totally necessary if you have a blender but I like having both in my kitchen. I use my food processor for nut and seed butter, hummus and other dips and for making raw energy bars, balls and desserts. I used a food processor to make the no-bake oatmeal bars. Baking trays. A couple of good baking trays are essential. Use them for baking and roasting. Square baking dish. I have one small square baking dish I use for homemade granola bars, snacks and desserts. They’re handy for smaller batches of roasted veggies too. You’ll also need one for the baked oatmeal you’ll be making this week. Silicone baking mat. I love my silicone baking mats and use them for just about everything I cook in the oven. They’re inexpensive, super handy, easy to clean and last forever. Cutting board. Get yourself a cutting board you love. I have one large cutting board and one smaller one. I’d suggest something lightweight and easy to clean. Knives. A good set of knives is key. I have one big knife to do all my main chopping, one paring knife and a few sharp medium sized knives for smaller jobs. Food storage containers. If you plan on doing any meal prep, batch cooking or packing your lunches for work, you’ll need some good food storage containers. I like Glass Lock containers for taking food on-the-go and storing prepared food and I like Weck Jars and mason jars for storing prepared items. I also use a lot of mason jars, Weck jars and other containers for pantry items. An organized kitchen makes cooking so much easier! Spiralizer. I use my spiralizer often to make noodles and ribbons from zucchini, cucumber, carrot, sweet potato, butternut squash and beets. They’re inexpensive and great to have. I think that’s about it aside from all your pots, pans and utensils. I also love my kettle, slow cooker and toaster and use them often. You can find more of my favourite items in my shop. It’s Sunday and you’re ready to start your a week plant-based eating tomorrow! Who’s excited!! Every Sunday I like to write down my meal plan for the week and make a meal prep to-do list and grocery list. Let’s go over the meal prep options if you’d like to plan ahead and save yourself some time during the week. Meal prepping is optional but if you’re busy during the week it saves a ton of time. Below I’ve listed my suggested plan for meal prep. I’d prep most of the items on Sunday and if you want, you can do a mid-week prep on Tuesday or Wednesday. I never do actual meal prep where I portion out the same meal for 5 days in a row but if that’s what you need to do to stay on track, definitely go for it. 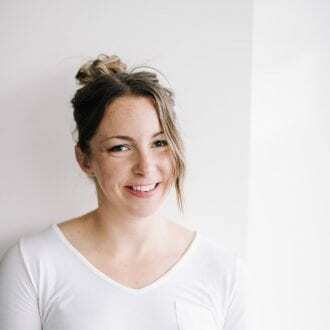 If you’re very tight on time or just don’t like spending time in the kitchen, this method might be something to consider, as long as you’re okay eating the same thing every day. In that case, all you need to do is pick a few of the recipes to make, divide them into containers and you’re all set. Before you start your prep, review the meal plan first and see if there are any alternative recipes you plan to make. 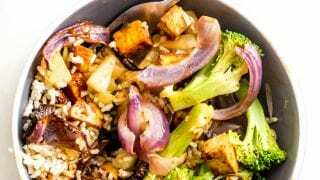 Cook brown rice for the Vegan BBQ Tofu Bowls and Brown Rice Burrito Bowls. Bake the tofu for the Vegan BBQ Tofu Bowls (I’d suggest having Vegan BBQ Tofu Bowls for dinner Sunday night so you can pack up the leftovers for lunch tomorrow. If not, prep them for tomorrow by making the baked tofu Sunday to speed things up. Wash and chop veggies: lettuce, kale, peppers, broccoli, carrots. Make the No-Bake Oatmeal Bars. Store in the freezer. Make the Baked Oatmeal for breakfast on Tuesday and a snack on Thursday. 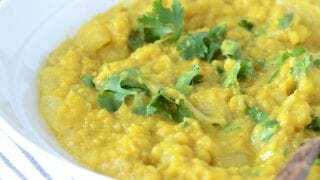 Make the Coconut Red Lentil Dahl for Monday’s dinner and Tuesday’s lunch. Bake the sweet potatoes for breakfast and dinner on Thursday and acorn squash for breakfast on Friday. Here we go! Let’s get into this meal plan. 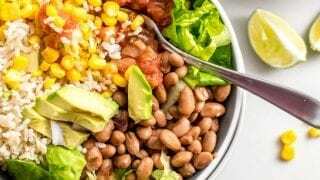 I’ve provided suggested and alternative recipes for breakfast, lunch, dinner and snacks for a full week of vegan eating. I hope you enjoy it and get a little taste of what plant-based eating is all about. Use these recipes and tips for day 1 of your vegan meal plan. Optional: Top with almond butter or peanut butter, a few nuts or seeds and some berries or sliced apple. To add more protein, stir in 1 scoop of vegan vanilla protein powder and increase the liquid by 1/4 cup. 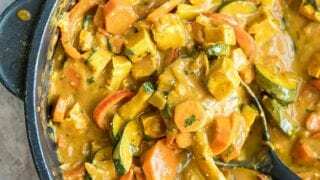 You'll need about 10 minutes to prepare this recipe if you want to make it stove-top in the morning and enjoy it at home. 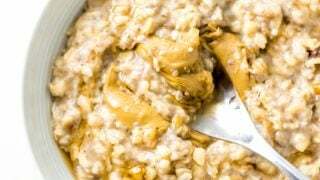 If you need to take it on the road, you can either cook and store it the night before or make it as overnight oats and just add all the ingredients to a container and place in the fridge. In the morning, grab and go! You can eat it cold or heat it up in the microwave or stovetop with a splash of water or plant-based milk. This recipe only serves 1 but can easily be double or tripled as needed. These lunch bowls are best prepped the night before, so I would suggest having them for dinner the Sunday night before you start your one week meal plan, that way you can pack up the leftovers for lunch. If you have time to make lunch today, you'll need about 45 minutes to make these. Optional: Serve with brown rice, quinoa or naan bread. This simple recipe comes together in about 30 minutes. Add a large handful of spinach or kale as it finishes cooking to sneak in some extra greens. For a bigger meal, serve alongside cooked whole grain of choice. This can be prepped Sunday to save time. Pack up the leftovers for lunch tomorrow. Make these easy, no-bake bars on Sunday so they're ready for the week. Enjoy 1 today as a snack with either an apple or a cup of berries. 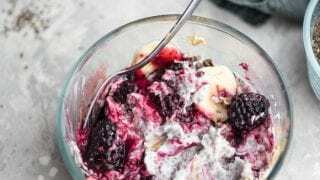 Alternative Breakfast Recipes: Healthy Breakfast Smoothie //Banana Blueberry Chia Overnight Oats // Squash Protein Pudding Breakfast Bowls. Use these recipes and tips for day 2 of your vegan meal plan. Prep this baked oatmeal on Sunday so it's ready to go for breakfast today. The recipe makes 6 servings. Store the leftovers in the fridge for a snack later this week. Serve with berries and nut butter. If you make this the morning of, you'll need 30 minutes. Enjoy the leftovers from dinner last night. These take just minutes to prepare if you make the brown rice in advance. If you don't have brown rice prepped, use quick cooking brown rice to speed things up. Otherwise, you'll need 45 minutes to cook brown rice from scratch. Pack up the leftovers for lunch tomorrow. To make these, mix 2 tbsp of chia seeds with 1 tbsp of shredded coconut. Add a little water until it's a pudding consistency then let it sit for 10 minutes up to overnight. Top with fruit, nuts, seeds and nut butter. Use these recipes and tips for day 3 of your vegan meal plan. This recipe serves 1 but can easily be doubled to serve 2. Optional: Serve with brown rice or another whole grain of choice or zucchini noodles. Use 1/2 an avocado and 2 tbsp of hummus. Spread on a small piece of whole grain toast or 2 Ryvita crackers. Alternative Snack Ideas: Rice cakes with avocado or almond butter with optional toppings like sliced banana, a sprinkle of hemp seeds, chia seed jam or smashed fresh berries, or a handful of nuts and a piece of fruit or cup of berries. Use these recipes and tips for day 4 of your vegan meal plan. These are very easy to make. 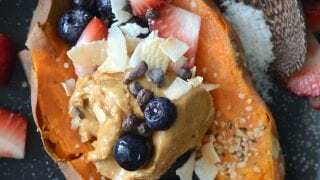 Just place a baked sweet potato in a bowl or container to-go and top with nut butter, berries, nuts or seeds, cacao nibs, coconut and/or chia jam. 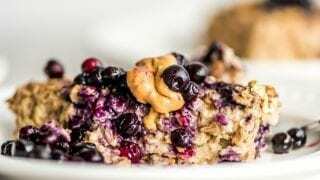 Enjoy a re-heated slice of baked oatmeal topped with berries and nut butter. These should come together quickly if you prepped the tofu and sweet potato ahead of time. Use these recipes and tips for day 5 of your vegan meal plan. These are very similar to yesterday's breakfast except made with acorn squash instead of sweet potato. I like to fill them with coconut yogurt and granola. Burger night! 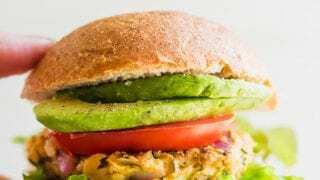 You will love these popular veggie burgers. Serve with tomato, lettuce and avocado and a green salad or baked potato wedges. Enjoy a leftover snack bar. Add a cup of berries, an apple or some veggies and hummus, if desired. Alternative Snack Ideas: 1 sliced apple with nut or seed butter of choice. Dessert Idea: Nut Butter Stuffed Dates. Stuff 1-2 tbsp of nut or see butter of choice into a couple dates and enjoy! For a special treat, add a couple dairy-free chocolate chips to each and/or a slice of banana. Use these recipes and tips for day 6 of your vegan meal plan. Optional: top with granola, fresh berries, cacao nibs and sliced banana. 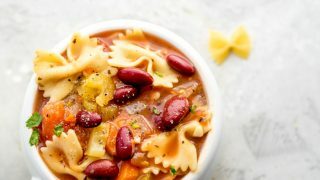 This soup is easy to make and can be enjoyed for the rest of the weekend. Option to make the cauliflower wraps or take the night off and go out for dinner or get take-out. 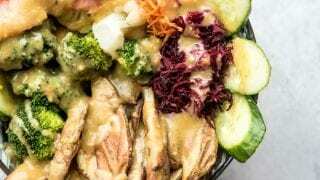 If you don't have any vegan or vegetarian options in your area, check out Indian food, Thai food, sushi or Mexican options and browse the menus at other restaurants to see if there is something that will work. 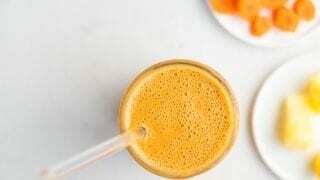 Enjoy this simple, healthy carrot cake smoothie for an afternoon snack. Alternative Snack Idea: Ants on a Log. Spread nut or seed butter over a couple stalks of celery and top with goji berries, chopped dates, raisins and/or sunflower, pumpkin or hemp seeds. Optional Dessert Idea: Healthy Banana Split: slice a banana in half lengthwise and place in a dish. Top with sliced strawberries, pineapple tidbits, dairy-free yogurt, chopped nuts and a drizzle of melted dark chocolate or dairy-free chocolate chips, or homemade chocolate sauce. Use these recipes and tips for day 7 of your vegan meal plan. 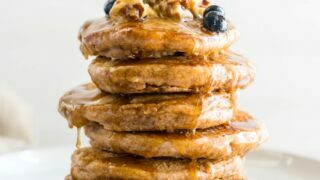 Optional: top with sliced banana, sautéed apple, berries, nut or seed butter of choice and/or a drizzle of pure maple syrup. Serve with the leftover kale and cauliflower soup from lunch yesterday. This recipe requires a few steps but the reward is well worth the effort. Get the baked fries in the oven and while those are cooking steam the broccoli and cauliflower, grate the carrot and beet and make the gravy. Serve with berries and banana. Below we’ll get into more alternative recipes and ideas for breakfast, lunch and dinner, desserts and snacks. Use these as inspiration as you start creating your own vegan meals. My weekly vegan meal prep posts are also a great place to find further inspiration. Click here to view all breakfast recipes here. Quick veggie skillets. I make these often. Just add any chopped veggies to a pan with some tempeh, cook for 10 minutes and serve. Sometimes I’ll add salsa for flavor or go with more of a curried flavor. You could also prep my chipotle sauce which is awesome on breakfast skillets. Tofu and veggie scrambles. To make a tofu scramble, add crumbled medium, firm or extra-firm tofu to a pan with a bit of water, turmeric, garlic powder and nutritional yeast and cook until the water is gone. Mix in any chopped veggies you like. This is my go-to breakfast most days. I’ll serve with either half a baked sweet potato or piece of whole grain and nut butter. Avocado toast. Spread avocado on toasted bread of choice and top with things like sprouts, tomato, cucumber, hemp seeds, basil or sauteed mushrooms. Almond butter and jam toast. Spread almond butter and chia seed jam on toasted bread of choice. Top with hemp seeds if desired. Sweet potato or squash bowls. Add cooked, mashed sweet potato or squash to a bowl and top with fruit, nuts, seeds and nut or seed butter or choice. Granola parfaits. 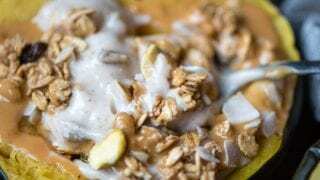 Make easy peanut butter granola or sugar-free granola, or use store-bought granola of choice, top with dairy-free yogurt of choice and fresh fruit. Breakfast Plates. Load up a plate with 2-3 types of fresh chopped veggies, 1-2 kinds of fruit, some beans, lentils, chickpeas or hummus, tempeh or tofu and some avocado. Breakfast tacos. Make tofu scramble, then serve with tortillas, grated carrot, greens, avocado and salsa. Savory breakfast bowls. 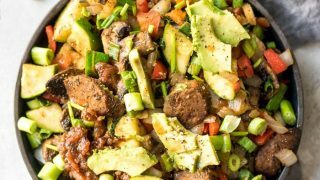 I love a big breakfast bowl with steamed or baked sweet potato, avocado, cilantro, tempeh and green onion. You can throw in some tempeh, chickpeas or lentils to make it more substantial. Breakfast tacos. Breakfast tacos are easy to make, flexible and tasty. 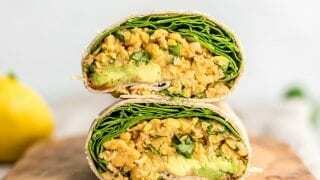 Fill small corn tortillas with tofu or chickpea scramble, avocado and salsa for a quick healthy meal. Click here to view all snack recipes. Sweet toast or rice cakes. Top nut or seed butter, chia jam, smashed berries, banana, hemp seeds, sunflower seeds etc. Savory toast or rice cakes. Top with avocado, hummus, hemp seeds, sprouts, tomato, cucumber, tofu ricotta etc. Fruit and protein smoothies. Blend 1 cup almond milk or water with 1 cup frozen fruit of choice and 1 serving vegan protein powder of choice. Homemade trail mix. Mix a small number of nuts, dried fruit, raisins or dates, dairy-free chocolate chips and flaked coconut. Cereal bowls. In a small bowl, add a few berries and/or some sliced banana, some flaked coconut, a few nuts and a few seeds. Add a splash of almond milk and enjoy as a grain-free homemade cereal. Cucumber and tomato with salt and pepper. Slice fresh tomato and cucumber and lay on a plate. Sprinkle with sea salt and black pepper, and a little splash of vinegar if desired, and enjoy. Roll-ups. Spread your favorite nut or seed butter in a whole wheat banana, add some banana or berries, roll it up and enjoy. Ants on a Log. 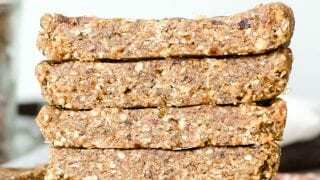 Spread your favorite nut or seed butter on celery stalks, sprinkle with raisins, goji berries or chopped dates and if desired, hemp or sunflower seeds. Edamame. Cooked edamame makes a great protein-rich snack. Veggies and hummus. Try making a batch of my hummus as part of your weekly food prep to enjoy for snacks throughout the week. Try my kale hummus, beet hummus or roasted red pepper hummus. Fruit and nuts. Any fruit and nut or seed makes a great snacking combo. Try raspberries and walnuts, banana and almonds, oranges and pistachios or blueberries and pumpkin seeds. Click here to view all dessert recipes. There’s nothing wrong with having a little something sweet to end your day. When it comes to healthy vegan desserts, stick to homemade, whole food options. A couple of pieces of dark chocolate with a handful of berries. Good quality dark chocolate should be vegan. There are many wonderful brands such as Alter Eco, Green & Black’s. Peanut butter banana bites. Slice banana into discs and make little banana bites by adding a dollop of peanut butter between each. Baked apples with cinnamon. Add whole apples, half apples or chopped apples to an oven-safe dish, sprinkle with and bake at 350 until soft and tender. Option to serve topped with dairy-free yogurt and a sprinkle of granola. Recipe to try: Healthy Baked Pears with Cinnamon. Coconut chia bowls. 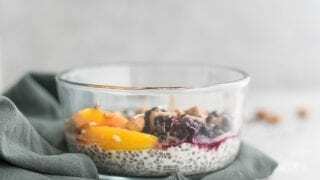 Mix up 1-2 tbsp of chia seed with 1-2 tbsp shredded coconut, add water to create a pudding consistency, let it sit for 15 minutes then top with berries, nut butter, cacao nibs etc. Quick no-bake cookie dough. In a blender, pulse together a few dates with a few nuts and/or oats, a pinch of sea salt and some cinnamon. Banana nice cream. Blend frozen bananas to create soft serve ice-cream. Switch up the flavour by adding things like matcha, cocoa powder, chocolate chips, frozen berries, mango or peanut butter. Try it topped with crumbled cookie dough balls to create a healthy blizzard. Pumpkin pie protein bowls. Mix pumpkin puree with vanilla protein powder to create a pudding, top with nut butter, nuts, seeds, chocolate, cacao nibs, dairy-free yogurt or fruit. Stuffed dates. Take a couple dates, remove the pits, stuff ’em with nut butter of choice and enjoy. Add a few dairy-free chocolate chips for a treat. Let’s go over a couple frequently asked questions about this meal plan. Whether or not to snack throughout the day is personal preference. Some people prefer bigger meals eaten two or three times a day, some prefer smaller meals plus snacks. Depending on your activity level, caloric needs and the size of your meals, snacks may be anywhere from 200-400 calories. I’ve provided a list of healthy vegan snacks to choose from as well as included a snack idea for each day. Feel free to mix and match from the snack idea list depending on what you feel like each day. I eat 6 times a day on a training day and 5 times on a rest day just like snacking, it’s really personal preference and there’s no right or wrong answer. I workout early in the morning, so I have a pre-workout snack before that then breakfast, lunch, dinner and two snacks at some point during the day. On a rest day, I don’t have the need for a pre-workout meal, so it’s usually breakfast, lunch, dinner and two snacks. You can read more about this in my Nutrition Tips for Vegan Athletes post. Listen to your body and hunger cues. If you’re hungry, go ahead and eat but try to eat slowly so you can recognize when you’re full. If you’re not hungry in the morning, don’t feel like you have to eat either. It’s perfectly fine to eat your first meal a bit later in the day. If you tend to get really hungry between meals, I’d suggest having small snacks so you’re not ravenous by the time your next meal rolls around. Do I need to count calories on this meal plan? There’s no need to count calories while using this meal plan. Instead, focus on the nutrient-density of foods rather than how many calories they contain. Calories are good for us, they provide energy, allow our bodies to function and help us recover and repair from everyday life, workouts, stress, whatever it may be. As you embark on this meal plan, I encourage you to really focus on high-quality food choices rather than worry about calories. You may find my vegan macro cheat sheet helpful for more information on creating a balanced vegan diet. Since you’re only doing this meal plan for one week to start, there’s no need to worry about supplements. 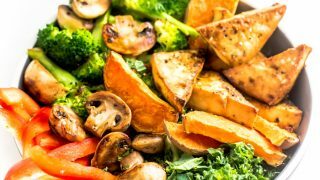 If you plan to continue, I’d suggest reading my vegan nutrition guide for everything you’ll need to know about supplementation. Personally, I supplement B12, vitamin D3, iron and omega 3 with DHA and EPA. If anything, you’ll just need to take a B12 supplement. Coffee, tea, water, almond milk or another plant-based milk, kombucha, matcha or sparkling water. Aim to drink half your body weight in ounces of pure water each day then enjoy additional beverages as you see fit. As always great article Deryn! Everything you do turns into gold :-). This is going to save me so much time with my busy life style. Waiting impatiently for the 5 day Vegan Macro Meal Plan. Deryn, this is AWESOME!! I have been in such a rut with meal prep, and can’t wait to try these recipes. I like that it isn’t the same food over and over every day of the week. You have great snack ideas too! Hi Gia!! So glad you found the post helpful! I mean, you could eat the same thing every day but I definitely get bored of that and like to switch it up!! It’s good to have some of these in your back pocket though for extra busy weeks. I hope you enjoy the recipes you try! Oh my gosh! 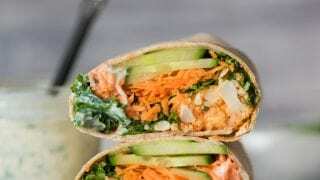 This article with all of the linked recipes is incredible. Thank you so much. I’m eating leftover Mediterranean Farro Salad bowl right now. The first recipe I’ve tried & I cannot wait for the next one now!! So so so good. Your site is a treasure trove of info and deliciousness. Seriously…thank you. Amazing! So glad you enjoyed the farro bowl, I love that one! I’m so glad you found your way here. Let me know what you try next! Love the ideas. Great help as I was stuck on doing the same old same old. I also like your recipes because you use normal ingredients and I don’t have to go buy fancy strange herbs/spices I would never use again. I made the red lentil soup and LOVED it. Best soup have had in awhile – second only to my own Sunday Soup made out of the veggies I need to get out of the frig each week!